While we continue to make technological advances here in the 21st century across a variety of industries, the pace at which new experimental aircraft technologies are picked up in the aviation industry can seem comparatively slow. But that doesn’t mean there isn’t plenty to talk about. The Elektra Flyer is a lightweight, fully electric aircraft. Electric-powered aircraft have a number of advantages over traditional combustion engines, including instant starting, a smooth and nearly-silent ride, and of course – huge fuel savings, as electricity is much more affordable than aviation fuel. While electric motors have yet to be certified by the FAA, as the technology becomes more popular certification will be inevitable. Many larger aviation companies are also digging into the electric-powered aircraft space, from Airbus and EADS to Boeing. NASA, too, continues to experiment with electric engine technology that’s driving advancements. Unmanned aerial vehicles such as the NASA Helios made significant advances in solar-powered flight back in the early 2000’s. These early experiments led to aircraft such as the Solar Impulse, a long-range, solar-powered experimental aircraft financed by two Swiss entrepreneurs. These single-seat aircraft are powered by photovoltaic cells, and the prototype was able to stay in the air up to 36 hours. 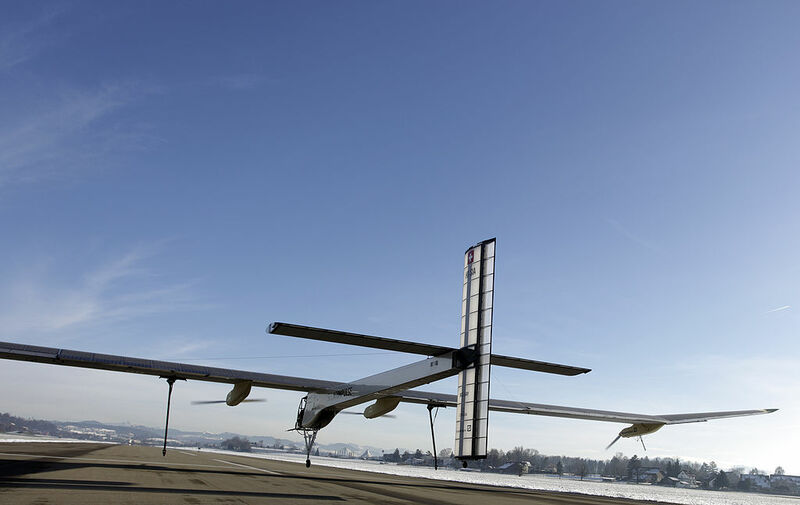 The Solar Impulse 2 debuted in 2014, and carried more solar cells to drive a more powerful motor. Though the cockpit is not pressurized, it contains environmental support systems that make it possible for pilots to safely cruise up to 39,000 feet. This technology continues to be pushed by manufacturers such as Solar Flight, which have proposed two-seater and six-seater solar-powered aircraft. In addition to private-sector advances in aviation, publicly-funded initiatives like NASA’s proposed New Aviation Horizons project are also seeking to find ways to make air travel cheaper, cleaner, and more efficient. The program’s aim is to design, build, and test a variety of aircraft to determine the feasibility of new technologies as applied to the aviation sector. These experiments will include tests with lightweight composite materials, new fan designs, and new wing shapes. According to NASA researchers, verifying the feasibility of these technologies and putting them into production could save the airline industry $10 billion a year.